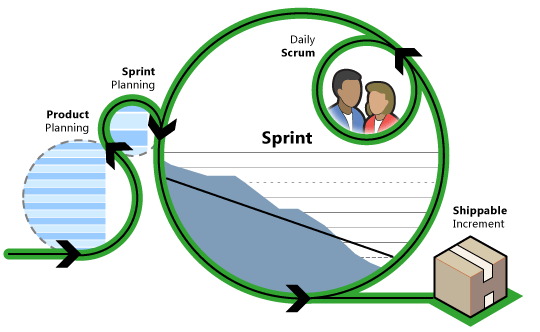 Scrum is a framework for running projects that is based on agile principles and values. It defines a set of activities that can help your team deliver more value to your customers faster. These activities provide your customers with the opportunity to review, guide and influence your team’s work as it progresses. This approach does not attempt to define everything at the start of a project. Instead, your team works in short iterations (also called sprints) and refines the plan as the team makes progress. For information about the agile principles and values on which Scrum is based, see Agile Principles and Values, by Jeff Sutherland. MSF for Agile Software Development v5.0 is based on Scrum.